Most people are not happy with the thought of rain, specially travelers on holiday seeking sunny skies. But in the Sinai desert like in any other desert, its inhabitants long for rain. 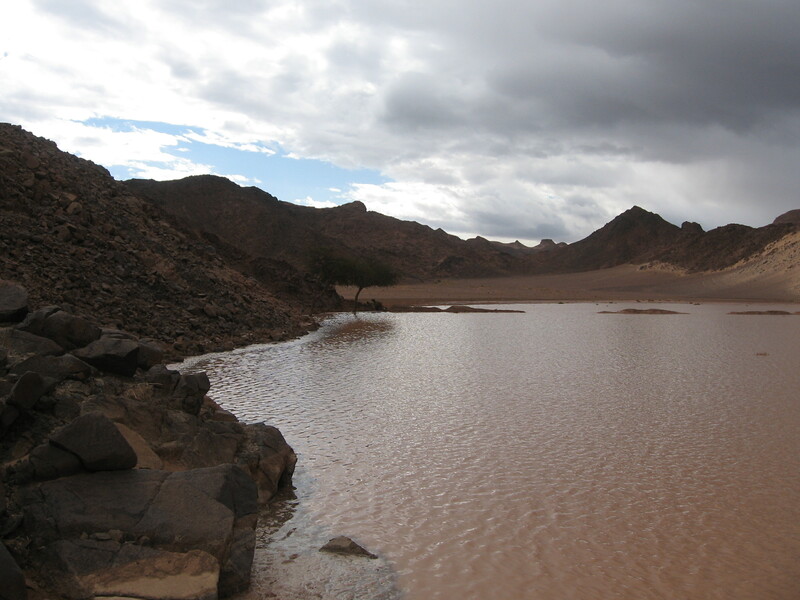 The rain has a phenomenal effect in the desert, although devastating to Bedouin living in very basic shelters and to anyone in the flood paths. The desert is cleaned leaving pools of water and sprouting millions of waiting seeds. The results show a few months after, plants grow bigger and greener, dying plants come back to life, and the landscape is covered with new plants and wildlife. The rain is not only beneficial to plants and trekkers who get a different perspective of the desert, the goats and sheep can graze and eat natural and often medicinal plants to their fill. The bedouin milk the goats and make butter, guy and cheese. They also benefit from not having to buy food for their flock. We will keep updating any information concerning rainfall.